Sailors assigned to the littoral combat ship USS Coronado (LCS 4) load a rolling-airframe-missile launcher onto the ship on August 12, 2015. US Navy photo. The Littoral Combat Ship USS Coronado (LCS-4) demonstrated its ability to defend itself against anti-ship cruise missiles in a recently completed initial operational test and evaluation (IOT&E) event, the Navy announced today.The Independence-class LCS scored a “mission kill” against an unmanned aerial vehicle target using a Raytheon SeaRAM anti-ship missile defense system during tests in the Pacific west of Naval Air Station Point Mugu, according to a Naval Sea Systems Command (NAVSEA) statement. While at sea, Coronado made another successful SeaRAM firing and 12 satisfactory tracking events. The tests demonstrated “the core anti-air warfare capabilities of the ship against an anti-ship cruise missile,” according to the NAVSEA release. “The crew of Coronado is to be commended for their exceptional performance during OT&E,” LCS program manager Capt. Tom Anderson said in the statement. Coronado is schedule to make an extended deployment to Singapore later this year. 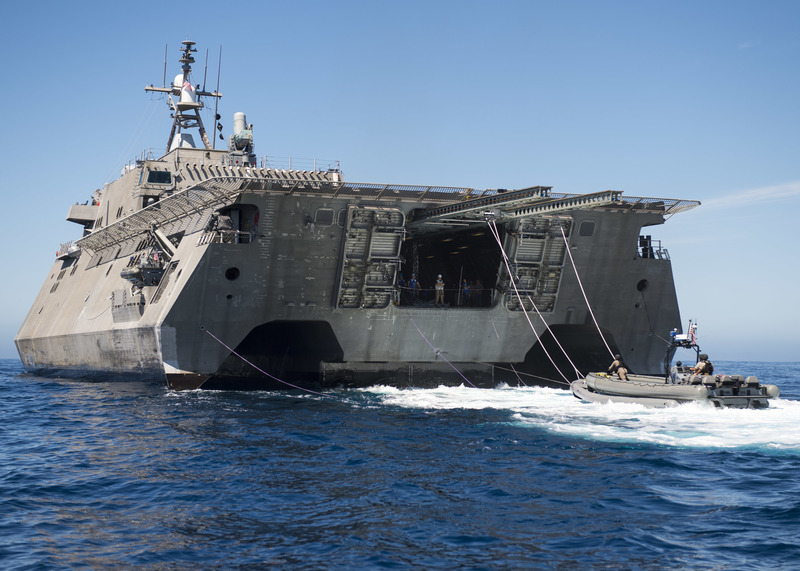 Former PEO LCS Rear Adm. Brian Antonio declared initial operational capability (IOC) on the Independence variant ships after Coronado completed the bulk of its IOT&E requirements last fall. The Navy noted in October that it would complete the remaining test requirements this spring prior to Coronado‘s deployment. “USS Coronado is designed to fight and win in contested waters, where high-end anti-ship cruise missiles pose a significant threat to naval forces,” Cmdr. Scott Larson, Coronado’s commanding officer, said in the statement. SeaRAM combines the Close-in Weapon System (CWIS) radars and fire control system with the Rolling Airframe Missile to provide a capable, reduced-manning defense against anti-ship cruise missiles and aircraft, the NAVSEA statement exaplained. 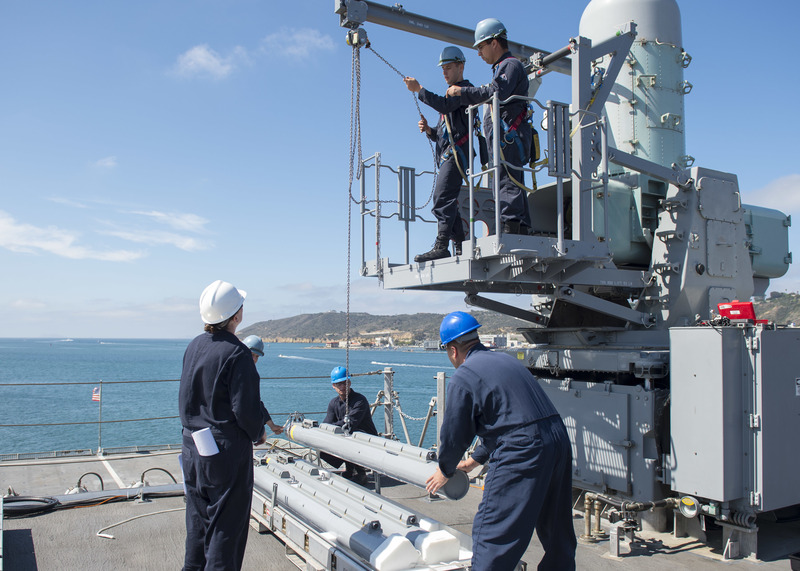 The test firings aboard Coronado were the second shipboard launch of the SeaRAM system and were the result of long-term planning, performance analysis and assessment, and modeling and simulation, NAVSEA said. The tests were coordinated by Program Executive Office Littoral Combat Ships and Program Executive Office Integrated Warfare Systems.